Shuai Chiao bare-handed fighting is the oldest Chinese bare-handed fighting style which incorporates the principles of T’ai Chi Ch’uan. Shuia-Chiao emerged around 2,000 years ago. It was originally taught only to the military elite. Starting in the Ch’in Dynasty, Shuai-Chiao was demonstrated in tournaments for the Imperial court. During the Ching Dynasty, China maintained a camp of 300 full time fighters who trained for competition with China’s allies. Today, Shuai-Chiao is still taught primarily to the military and police in China and Taiwan. Shuai-Chiao is a Northern Chinese martial art that was not well known in the south until the 1930’s. Shuai-Chiao was introduced to the United States in 1978 by Dr. Chi-Hsiu Daniel Weng. 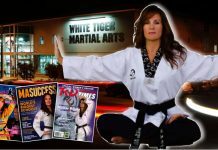 Dr. Weng started martial arts training at age 11, beginning with judo. After achieving second degree black belt in judo, he began study of Shuai-Chiao from Grandmaster Ch’ang Tung-Sheng. 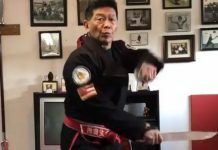 Dr. Weng spent 20 years studying Shuai-Chiao with Grandmaster Chang, including 10 years as Shuai-Chiao instructor at the Taiwan Central Police College. Dr. Weng is an 8th degree black belt in Shuai-Chiao, and is president of the U.S. Shuai-Chiao Association. There has been a large growth of interest and participation in Shuai-Chiao during the past several years. Major Chinese martial arts tournaments now include Shuai-Chiao divisions. Shuai-Chiao fighters have also competed successfully in San Shou (full contact fighting) competition. The five-man U.S. full contact team sent to the 2nd World Wushu Championships included three Shuai-Chiao fighters. 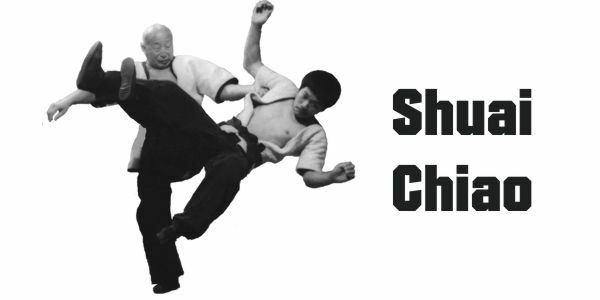 Shuai-Chiao integrates striking, kicking, throwing, tripping, grappling, joint locking, and escaping methods. Shuai-Chiao fighting principles are based on T’ai Chi Ch’uan, but techniques are applied with more force. There are 30 theoretical principles of Shuai-Chiao; the six major principles are: absorbing, mixing, squatting, hopping, turning, and encircling. Shuai-Chiao fighting strategy emphasizes maintaining balance and controlling the opponent. Tactics emphasize throwing the opponent while maintain a joint lock, then following with a vital point strike. There are 36 major throws in the system, with 3600 combinations. Shuai-Chiao is notable for joint attacks and hard throws. Shuai-Chiao has a belt ranking system. The succession of belts is: white, green, green-blue, blue 1, blue 2, blue 3, black. 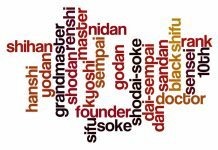 There are ten degrees of black belt. The 10th degree is reserved for the founder of the lineage, the late Grandmaster Ch’ang Tung-Sheng. 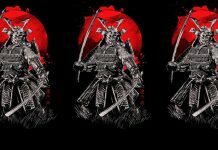 There are currently no holders of 9th degree black belt. Competition is similar to actual combat, except that strikes and kicks are allowed only in conjunction with a throw. Also, joint attacks are discouraged. Match is three falls. Point is awarded upon completion of the throw with control maintained over opponent. There is no pinning nor submission holds in Shuai-Chiao competition; in actual combat the throw would be followed by a finishing strike. Victory in tournament competition is required for advancement to blue belt and above. There are a dozen stationary training stances to train strength and flexibility. Twenty moving forms train the position and footwork used in approaching, joint locking and throwing. 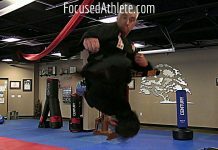 Wushu high kicking exercises train leg strength and flexibility. The kicks most often used in Shuai-Chiao fighting are low kicks and sweeps. Unique to Shuai-Chiao is “belt cracking”, which uses the uses the uniform belt in exercises that train strength and proper position. Throws are practiced in exercises with a partner, then in sparring. Sparring is practiced at all levels, as soon as the student has mastered breakfalls. A typical class consists of stretching exercises, Wushu kicking, forms practice, throwing and breakfalls, and sparring. Shuai-Chiao styles are categorized by region. The four major regional styles are Mongolian, Peking, T’ientsin, and Pao-ting. The USSA teaches the Pao-ting style. 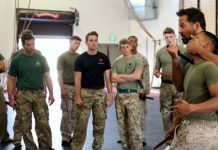 FMA: Filipino Martial Arts Masters and Grandmasters.